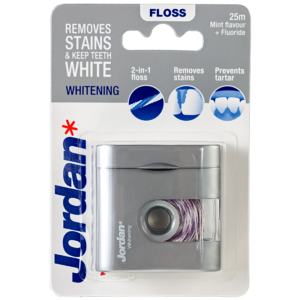 Jordan Whitening dental floss is made up of two multifilament flosses, twisted into one. 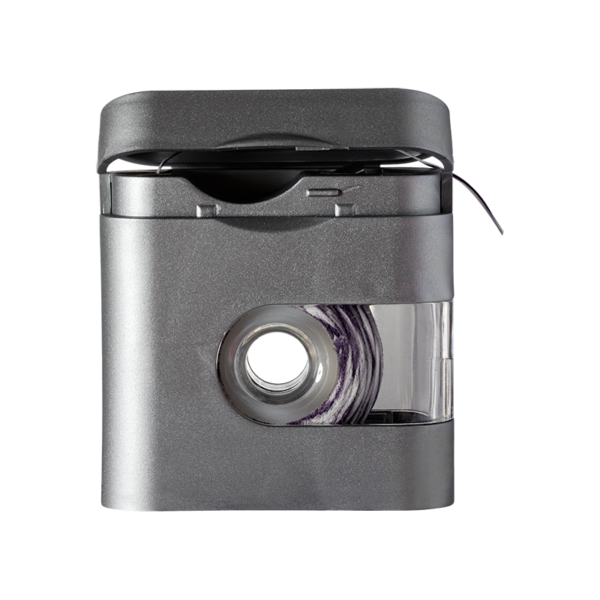 Both intertwined floss filaments expand, and effectively lift off plaque and surface stains between teeth and around the gum-line. Stains are caused by daily consumption of different foods and beverages. Available in 25m and coated with mint flavour, fluoride, xylitol and ingredients proven effective against discoloration and tartar. Recommended for medium interdental tooth spaces and for people who drink a lot of tea, coffee or fruit juices.